Have you experienced a visit from the regulatory agency? Will you be getting citations? Are you unsure about how to proceed? Circle Safety has extensive experience working with the regulatory agency to settle your citations and ensure that you know how to prevent them from happening again. We will review your citations and the facts surrounding the inspection to determine their merits. This will allow us to advise you of your organization’s best options. We will assist you with the informal conference and other settlement paperwork and help you with your contest, if that is required. We will also assist in the preparation of your abatement documentation so that at settlement all your documentation is adequate and complete. Need on-site work done? We can perform safety audits at your location. Our experienced consultants will inspect your workplace and document any areas that are not in compliance with OSHA/VOSH or other voluntary corporate standards. We will answer your questions, advise best-practice industry standards, and interpret any questions you may have about how the OSHA construction and general industry standards apply to your workplace. This type of audit may be required by contractual obligations, needed to ensure regulatory compliance, or as part of due diligence required for an acquisition. Circle Safety & Health Consultants has broad experience in conducting third-party health and safety audits. What is more, Circle Safety & Health Consultants has conducted research and analysis in an original study as to the effectiveness and efficacy of varying sources of third-party audits. Not all sources are created equal. 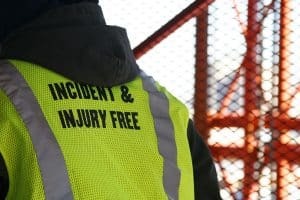 The experts at Circle Safety & Health Consultants will analyze all aspects of your Occupational Safety and Health management program, comparing it to the requirements of federal, state, and local regulation and industry best-practice. We will design an audit that meets your needs ranging from worksite hazard identification only to a comprehensive evaluation of all safety and health practices and procedures, including prioritization for corrective action. Please contact us to discuss your needs. Is your company purchasing an active business operation or a portion of a business operation? These purchases can lead to the assumption of occupational safety and health problems and exposures that could lead to citations, higher workers’ compensation costs, and possibly even lawsuits. It is customary to conduct “due diligence audits” for environmental purposes, but occupational safety and health matters are generally not addressed.